It’s Hangover Thursday, how’s your head? I did all of my drinking earlier in the week so my head is pretty clear right now. Today I have two items to share. One of them is named stupid and the other looks like stupid fun. 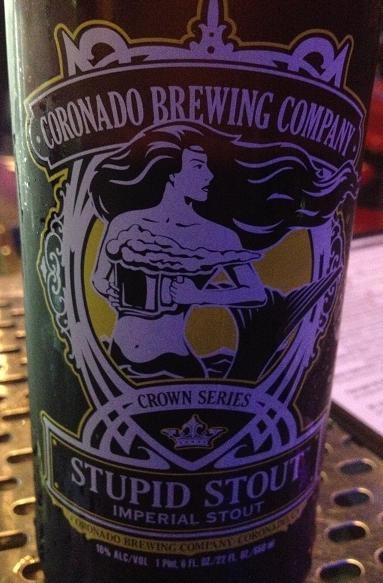 The first item today is Coronado Brewing Company’s Stupid Stout. Part of their Crown Series Stupid Stout is an Imperial stout with a 10% ABV. I found it in one of the 22oz bottles but you may be lucky enough to find in on draft. It’s a really nice Stout too; it pours dark, there are hints of chocolate and coffee, and it hides its higher ABV well. At one point it was called Stoopid Stout, but there was a bit of a bit of a trademark brouhaha between three breweries where beers with names like Idiot and Stoopid all got changed. The other item I wanted to talk about today is the Cap Zappa. You know that guy who likes to flick beer caps at the speed of light with precision accuracy? Yeah, I’ve never been that guy. I’m guessing the inventor of the Cap Zappa has never been able to do that either. 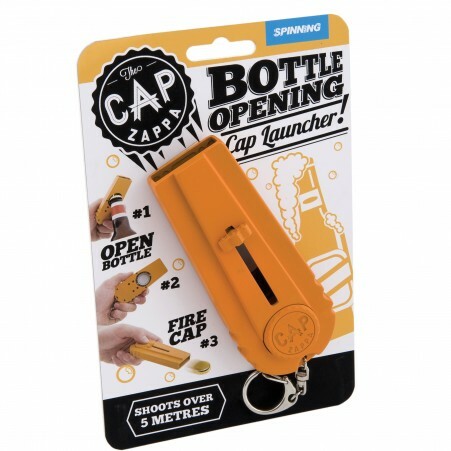 The Cap Zappa is a bottle opener that lets you turn your bottle cap into a projectile. Surely shooting bottle caps at your drunken friends won’t end in more violence.